For the mom who is a whiz in the kitchen or likes to dine at all the newest restaurants, Catalina will be a culinary treat for her. Indulge with lunch at Mt Ada (formerly the Wrigley Mansion) as you and mom sip on mimosas and take in one of the most spectacular views of Avalon. Or, mom and you explore Avalon through your taste buds by visiting six local favorites and learn more about the history of the Island with the Avalon Tasting & Cultural Walking Tour. For the mom who enjoys conquering mountains and discovering new hiking trails, the Island is an outdoor woman’s paradise. Catalina is full of numerous trails to explore, but if you are looking for a little more low-key expedition venture to the Wrigley Memorial and Botanic Garden. There is plenty to see as you learn more about the native plants to the Island and climb to the top of the Wrigley Memorial, which has Catalina tile throughout the structure. Elevate your hike by taking on the Garden to Sky Trail, a 2-mile hike to the top of the canyon where you can see both sides of the Island. For the mom who enjoys strolling from shop to shop, the boutiques and galleries throughout Avalon offer unique items with an island twist. Catalina is proud to have very talented local artists that showcase their pieces in the different shops. For those looking to fill up their closet with Island ware, there are many shops that can help with that issue such as Latitude 33 or Island Treadz. When shopping for the perfect Catalina keepsake, swing by the Catalina Island Museum or Catalina Pottery, Bath & Body. For the mom who wants to relax with her toes in the sand and a cocktail in hand, Descanso Beach Club with their beach lounges and cabanas would be her dream getaway. Descanso Beach is one of few beaches in California where you can enjoy bar service straight to your towel while soaking in the rays of sunshine. For the mom who loves a good spa day, Catalina is home to many different options to help recharge the batteries. The Island has several spas that specialize in various experiences or have a rejuvenation day in your room as some hotel offer spa experiences. Mom will leave this trip feeling refreshed and re-energized. 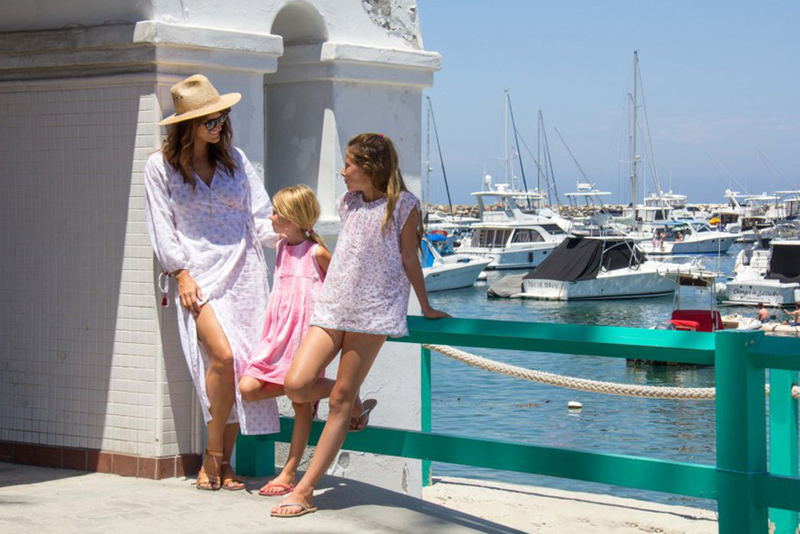 Start planning this island getaway with mom by booking her reservation ahead of time or purchasing a Catalina Express gift card that she can use anytime during the year. No matter your mom’s favorite activity, she will treasure this experience above all else because it will mean quality time with you.